Where the city meets the country in a delightful blend of both. This planned community was developed to provide an attractive, wholesome, family-oriented alternative to the high cost of rental housing in the city. 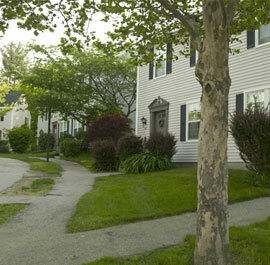 A Unique, Apartment Community in Portsmouth, NH. An excellent location, a remarkable value, exceptional management- this is Osprey Landing, a rare bird, indeed. This first-class 210,000 square foot architecturally pleasing building offers style, convenience and flexibility at a very affordable price. 540 North Commercial Street offers a convenient, central location in Manchester's Amoskeag Millyard on the banks of the Merrimack River and is within blocks of The Radisson Hotel and Convention Center. It offers easy access to Interstate 293 and the F.E. Everett Turnpike. Restaurants, hotels, shops and banks are within walking distance. 540 North Commercial Street lets you use your ingenuity to create a contemporary R & D/light industrial/office environment within warm traditional surroundings while enjoying considerable cost savings. Large open spaces with high ceilings and large windows permit design results that provide unique, high quality, productive offices at a very reasonable cost. Initially renovated in 1983, this mill was one of the first to lead the way in the renaissance of the Amoskeag Millyard. The Edward J. Roy Apartments are conveniently located at 27 College Road in the Pinardville neighborhood of Goffstown, New Hampshire. There are 60 apartments in this three-story brick building, consisting of one and two bedroom apartments for elders and disabled persons. Rental assistance is available to qualified residents under the Section 8 program of the U.S. Department of Housing and Urban Development (income limits do apply). The Edward J. Roy Apartments was financed by the New Hampshire Housing Finance Authority, and was constructed in 1982. 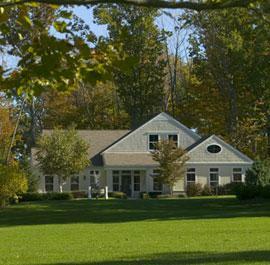 The Park Avenue Apartments provides 30 residences for elders and disabled persons in a very attractive two-story building located in Contoocook Village in the town of Hopkinton, New Hampshire. The Park Avenue Apartments offers one bedroom apartments, with rental assistance available to qualified residents (income limits do apply). The Park Avenue Apartments was financed under the Rural Development Administration of the U.S. Department of Agriculture, and was constructed in 1990. 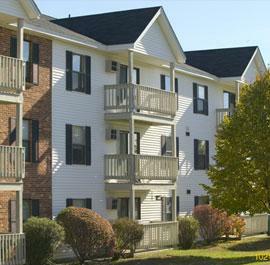 Dearborn House is a very attractive 54 unit three-story apartment building nestled off Dearborn Avenue in the heart of Hampton, New Hampshire. Dearborn House provides homes for elders and disabled persons in one and two bedroom apartments. Rental assistance is available to qualified residents under the Section 8 program of the U.S. Department of Housing and Urban Development (income limits do apply). Dearborn House was financed by the New Hampshire Housing Finance Authority, and was constructed in 1980.